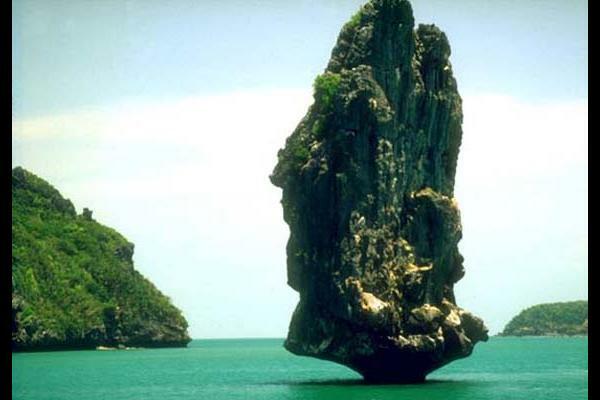 Perfect for honeymooners, Andaman is made of pristine beaches, heavenly greenery and exotic marine life. Port Blair has a number of interesting monuments and museums that showcase the history of this island. Coral Island is famous for its teeming coral formations that can be viewed best via a glass-bottom boat. Havelock Island is best known for its ample natural beauty and is a very popular honeymoon hot spot. Ross Island was a popular British stronghold that abounds in natural panoramas. Truly a memorable holiday. After the breakfast enjoy a full-day tour to the North Bay or Coral Island. The place is good to view coral reefs, ornamental fishes and other water animals. A glass bottom boat ride is available to have a close look at the coral colonies. You can indulge in snorkeling, swimming and trekking too. Leave early morning for an overnight trip to the Havelock Island. An inter-island ferry is arranged for the transfer to the island, which is around 57 Kms from Port Blair. Stay overnight at a nice beach resort located close to the sandy beaches and green forests. Depart from Havelock Island in the afternoon and transfer to Port Blair. After breakfast, take a full-day tour of places around Port Blair. City tour includes Forest Museum, Mini Zoo, Anthropological Museum, Fisheries (Marine) Museum, Centre and Naval Marine Museum (Samudrika). The Andaman Water Sports Complex is a good place to go for water-skiing, boating, water scooter rides, tube rides, etc. The Cottage Industries Emporium (Sagarika) is a good place to shop for curios. A Sound and Light Show at Cellular Jail showcasing Indian Freedom Struggle is a not to be missed event. After breakfast, transfer to Coimbatore by drive (3 hrs). On arrival, transfer to airport/railway station for departure. If you have not decided yet or wants to customize tour itinerary or hotels listed above in "Travelocity 6 Nights Andaman Ecstasy Tour Package Rs.12999/-", then we can change the travel itinerary and make a personalized, tailor-made holiday package, especially for you. We can modify this travel package as per your itinerary, budget, duration and the tourist places you would like to visit, including transportation and airfare should be included or not. Please fill the form below to contact us.